This vibrant side dish makes an easy change from simply boiled peas. 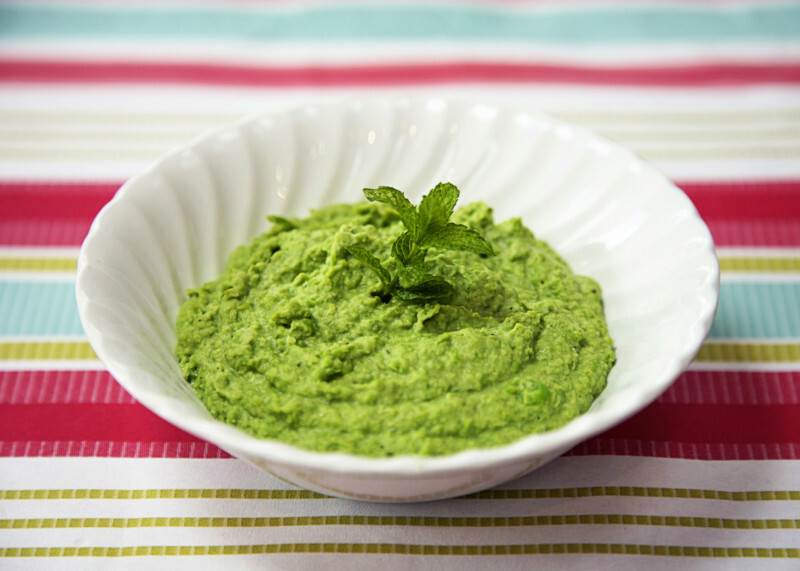 Peas are a good source of vegetable protein and fibre and don’t dismiss frozen peas. As they are harvested and frozen almost immediately, their nutrient content can be higher than fresh peas in their pods. Bring a small pan of water to the boil. Add frozen peas and a handful of washed mint leaves. Drain the peas and mint. Add a spoonful of crème fraîche and a grind of black pepper and blend to a purée.